It seemed like a terrific idea in 2013: Get members of Valley media organizations together for a big holiday happy hour, with free appetizers to attract skeptical journalists, to celebrate putting another year behind us with hopes for better times in the next one. Not only did it seem like a good idea, it was. About 35 of us showed up at various times during a chilly-by-Phoenix-standards December evening at The Turf, an Irish pub with good vibes of comfort and joy. As we began making our way out, we talked about doing it again — although admittedly we didn’t think it wocould be another year before we did. 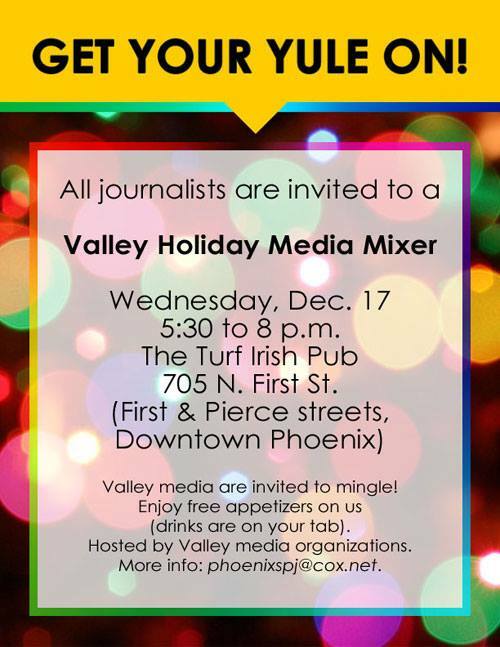 Well, it is another year, but once more the 2nd annual Valley Holiday Media Mixer is here to help local media people to get their Yule on. 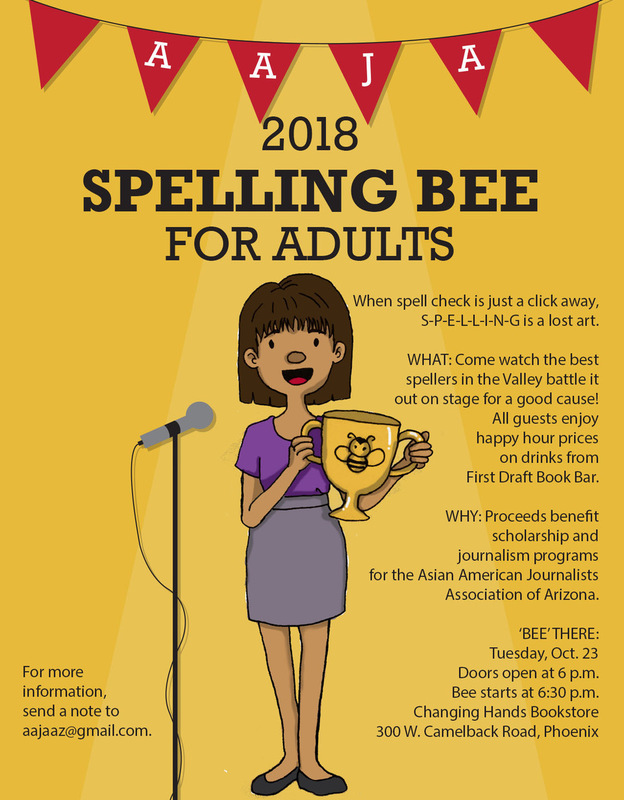 Valley of the Sun SPJ is one of the sponsoring organizations as is the Arizona Press Club, the Rocky Mountain/Southwest chapter of NATAS and the Arizona chapters of AAJA, NAJA and NLGJA. So plan to be there, rest ye merry, gentlemen (and ladies), and bring your friends in the business. This is a membership building opportunity for each of the media groups, after all. It’s 5:30 to 8 p.m. Wednesday, Dec. 17, back at The Turf, 705 N. First St., between Fillmore and Roosevelt, just north of the Cronkite School in downtown Phoenix. No need to RSVP, just be there to toast the holidays (drinks are on you, but, as said above, the appetizers are paid for by the media groups), renew connections and friendships, and make it your starting point for a brighter, better 2015. Come and join area journalists from several of the local media organizations, including AAJA, ALMA, NABJ, NAHJ, NAJA, NLGJA and SPJ, during a happy hour set for 5:30-7:30 p.m. Thursday, July 12, inside The District Bar at the Sheraton Downtown Phoenix, 320 N. 3rd St. There will be limited free appetizers and happy hour food and drink specials for purchase. The annual gathering is a kick-off to the upcoming g UNITY 2012 national convention in August (www.unityconvention.org), however, you don’t need to be registered for the UNITY conference in order to attend the happy hour event! To RSVP, visit the Facebook page at https://www.facebook.com/events/430822840271723/.